Are you taking advantage of video? Companies that use video are growing their revenue 49 percent faster than those that aren’t. That’s a stunning statistic, and it points to the importance of centering online video in your marketing strategy. Any video strategy needs robust delivery, which is why many businesses use a content distribution network (CDN). These CDNs speed the delivery of video and help eliminate problems like buffering, lagging, and overloaded servers. However, using a CDN has a number of drawbacks too. They can be expensive and complex to use. You may want to consider using an all-in-one live streaming platform that partners with a CDN. Why? In short, with a pro streaming platform, you can save time, money, and development resources. Moreover, you can deliver higher-quality streams to your viewers–wherever they may be! Let’s dig into the pros and cons of pro OVP streaming solutions. Fundamentally, a content distribution network is built around… content delivery. No surprise there. But it’s important to understand what this means. The focus is on distributing digital content. Different CDNs specialize in different types of content, such as multimedia, HTML files, images, and other data. You also have top-tier CDNs like Akamai and Cloudfront that deliver all types of content. A CDN tends to have a wide variety of customization options. Technically, integrating a CDN can sometimes be complex: they are, for the most part, designed for integrations into already existing web platforms. In contrast, an online video platform (OVP) is a service aimed at providing user-friendly online video functionality. I often refer to the functionality of an OVP as being like a Swiss Army Knife for online video. OVPs integrate a wide range of easy-to-use tools to upload, stream, organize, monetize, and distribute video content. OVPs tend to be easier to use than CDNs, and have a number of other advantages. Let’s dive into seven reasons why you may want to use an OVP rather than a content distribution network. 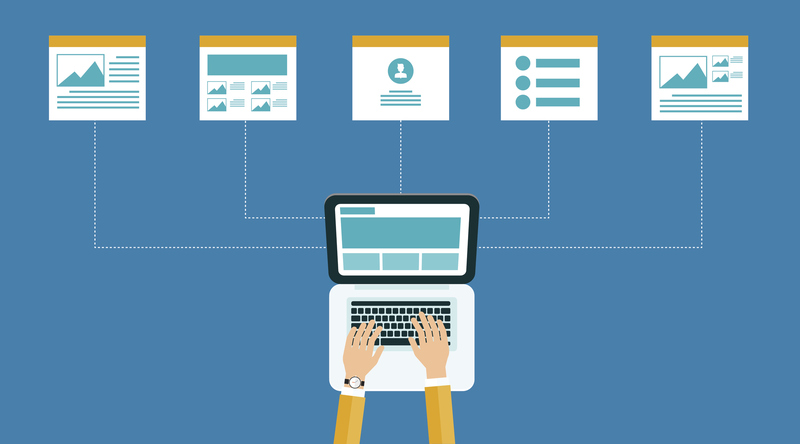 By definition, an OVP is built around a content management system designed for video. Generally this is some form of web-based dashboard interface. This interface allows you to easily upload, rename, categorize, delete, and change settings on videos, as well as live streams. For those of you who have used the consumer-grade YouTube platform, you know how this generally works. An OVP provides a similar platform with a set of integrated features very easy to use. Any employee can be trained to operate these platforms in a minimal amount of time. In comparison, a Content Distribution Network generally does not include a GUI interface for video. Files must often be uploaded and managed via SSH and a command line. Another important task for online video is customizing branding. Generally speaking, both OVPs and CDNs are white label platforms. This means that, in contrast to platforms like YouTube which are branded, no logos are included on your videos. However, OVPs make things easier (this will be a theme in this article). Generally, an video streaming solution will include a dedicated tool for uploading the logo or image of your choice. This will be watermarked onto all your videos and streams. A CDN does not include this functionality. To watermark your videos, you’ll have to do it manually. Note: not all OVPs offer white label service at affordable prices. Ustream / IBM Cloud Video, for example, charges $999 per month for plans that include access to custom branding. You might want to look at a video streaming solution that includes white label at all plans levels. On a cost-basis, an online video platform may be more affordable than a video CDN. For example, the Microsoft Azure content distribution network starts pricing at 8.7 cents per GB in North America, Europe, the Middle East, and Africa. DaCast’s Pro Plan (with year-long commitment) calculates out to bandwidth costing 7.45 cents per GB, while the Premium Plan lowers that to a flat seven cents. Many OVPs also deliver their video via a Content Distribution Network, which tilts the comparison further. DaCast, for example, uses the Akamai CDN to deliver all of its video. Akamai is a top tier CDN with POP (Point of Presence) locations all around the world. DaCast is able to deliver Akamai reliability at a very competitive price. Contracts and pricing with are simpler with an OVP, too. Direct CDN contracts can be confusing and often are based on multiple modifiers including where bandwidth was consumed, what features are enabled on your account, and more. DaCast, on the other hand, offers pay-as-you-go pricing with zero commitment. 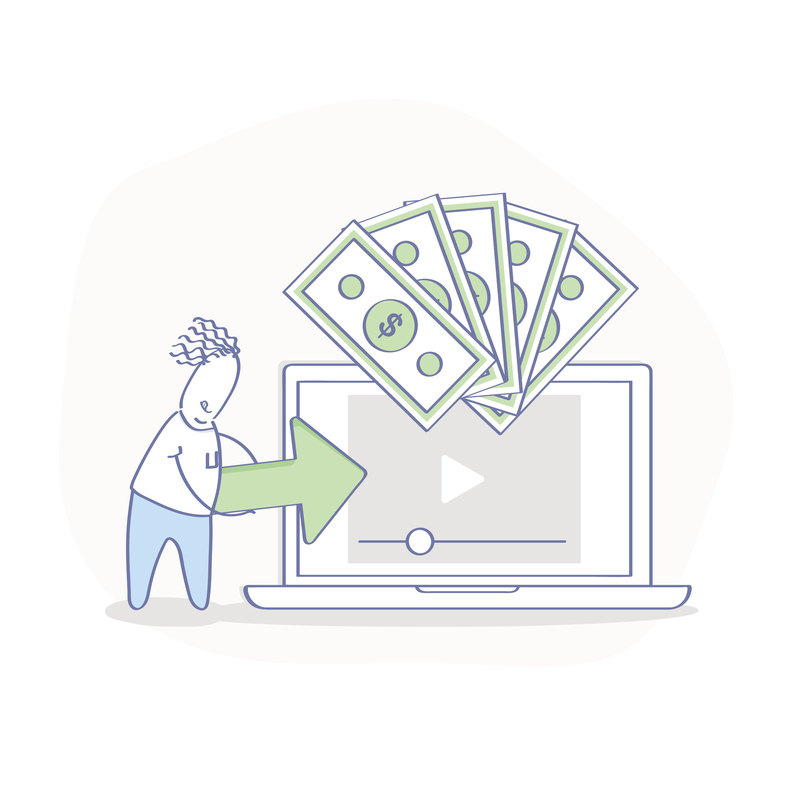 When well chosen, an online video platform will allow you to monetize your over-the-top video content as well as save money. For example, DaCast includes a white label built-in paywall to allow its users doing pay-per-view streaming. This paywall supports one-time transactions as well as subscriptions (which are ideal for ongoing content streams like sports seasons and so on). Monetization through advertising is supported via the player API. Next up, let’s talk API tech. APIs, or Application Programming Interfaces, are tools that allow you to interact programmatically with services. They are essential building blocks for web and mobile apps, and enable a wide array of creative workflow integrations and customizations. Some CDNs include APIs, but what we are talking about here is a video content management API to upload and manage your video content, or even build your own online video platform! The player API will allow you to customize the video player to address all your business needs. A functional online video platform should provide video APIs along with developer tools such as code samples and extensive documentation to help you and your developers get started. As we’ve mentioned, CDNs are complex services that work with a wide range of clients. Their support teams are required to be knowledgable about a wide variety of topics. But of course, this has a downside: breadth of knowledge can be shallower than might be ideal. In comparison, an OVP only works in one segment of the online business world: video. This means that all the employees, and especially the customer support team, will be knowledgable about video and the specific technologies at hand. On top of this, the help-desk documentation provided by an OVP are more likely to be focused around the specific problems you may be having. This will reduce the time it takes to identify and fix any technical problems that arise. Some OVPs like DaCast are able to offer 24/7 customer support. It’s a data-driven world. Video is no different. Gathering information about the performance of your video content and the audience accessing it is essential. A professional video streaming platform typically delivers video analytics designed to give you insight on how many people are watching your video ad from what locations. This data can be delivered directly to your dashboard for easy review at any time. 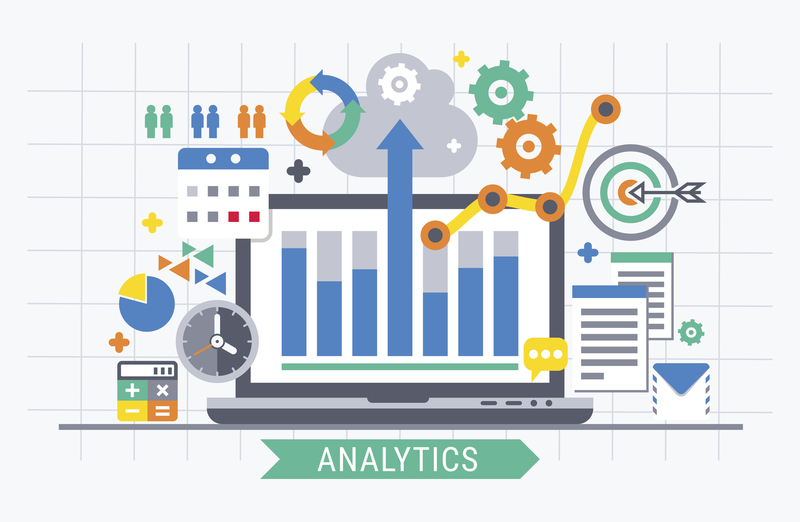 With some OVPs such as DaCast you also have the possibility to sync up your Google Analytics account. The whole point of using a CDN is to place content in edge servers where it can be delivered to users quickly and reliably. We’ve already mentioned that some OVPs work directly with CDNs, as in the case of DaCast and Akamai. This means you get the best of both worlds. DaCast customers receive all of the above benefits of using an OVP, such as monetization, video analytics, APIs, vide-centric customer support, improved pricing, content management, and white label service. And on top of that, they also get to distribute their content via the Akamai CDN, automatically, with no extra work and no second contract required. Every video will be distributed via Akamai, no exceptions. All of the benefits, none of the drawbacks. As far as we’re concerned, this is an easy choice! It seems clear that if you’re looking for online video distribution and other tools, and OVP is superior to using a CDN alone. The next question becomes: how do you select an OVP? As a first step, I recommend assessing the essential features that you need, and what your goals are. With this information in mind, you can check out our previous blog posts comparing various OVPs here, here, and here! Any questions? Let is know in the comments section below! We love to hear from our readers, and always do our best to respond as soon as possible. Thanks for reading, and as always—best of luck with your live streaming and online video endeavors!